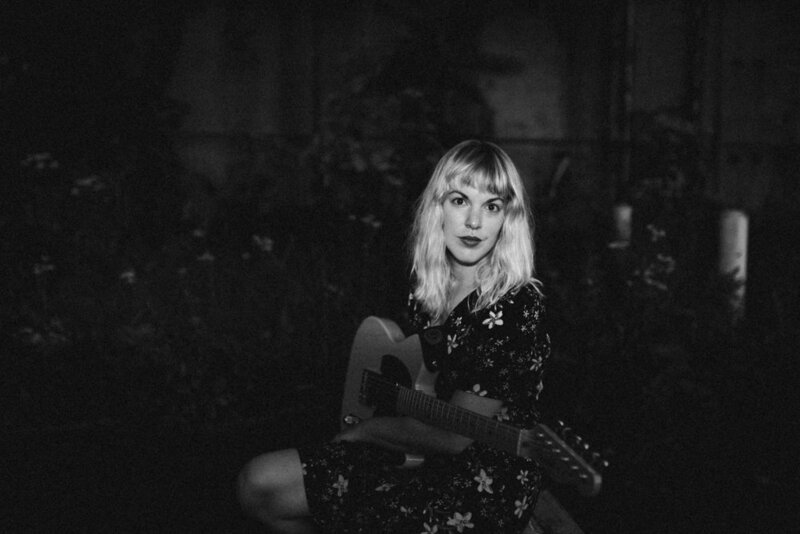 Virginia native Lauren Calve is a Washington, D.C. area singer-songwriter, guitar and lap steel player who has brought a vital new energy to the Americana scene. Starting with her days attending the open mic nights at the well-loved, but now defunct Arlington, VA live music haven Iota Club and Cafe, Calve became known for her strong, soulful vocal style and skillful playing. Seeing her perform, one thinks of Patty Griffin’s dynamic voice, Bonnie Raitt’s smoky aura, and Ben Harper’s unique slide style. She released her debut EP, "Between the Creek and the Tracks" in 2014, for which she earned a Washington Area Music Association nomination for Best Roots Rock Vocalist. Her musical compositions find their ground in the tried and true sounds of Americana, but their strength lies in how they go beyond tradition into innovative melodies, structures and arrangements that define their originality. Lyrically, Calve's concerns also go into interesting, personal territory, as she uses memorable imagery and meter to write about complex issues too little found in popular music, such as the contemplation of nature and its connection to spirituality, feminist responses to traditional conceptions of gender roles, and the importance of political consciousness in a democracy. She has become a mainstay at prominent local and regional venues, and is honored to have opened for artists like Sean Watkins of Nickel Creek, Cruz Contreras of The Black Lillies, Charlie Worsham and Wade Bowen. Whether playing intimately by herself, with an accompanying guitarist, or with a rocking full band, Lauren impresses audiences with her raw performances. She has recently revived the Lauren Calve Band with an all-star all female lineup to support her sophomore release, "Light Dark". Lauren is also a member of D.C.’s Americana “super group” Run Come See. On the basis of her collaboration on original songs with the two other founding members of that band, Run Come See released their debut album in March 2017 to the praise of the D.C. Commission for the Arts and Humanities, Listen Local First and Brightest Young Things. Building on the vibrant blend of blues, country and rock that continues to shape Calve’s musical vision, she is busy writing a new crop of songs and developing her full band sound to great anticipation.